Ok, so for some people these may only be subtle changes, but for me they are pretty big, as the car has been pretty much untouched body-wise for the 7 years I’ve owned it. So this is how my car looked when I picked it up last Saturday (hood open as spark plugs had just been changed) from RAPT. 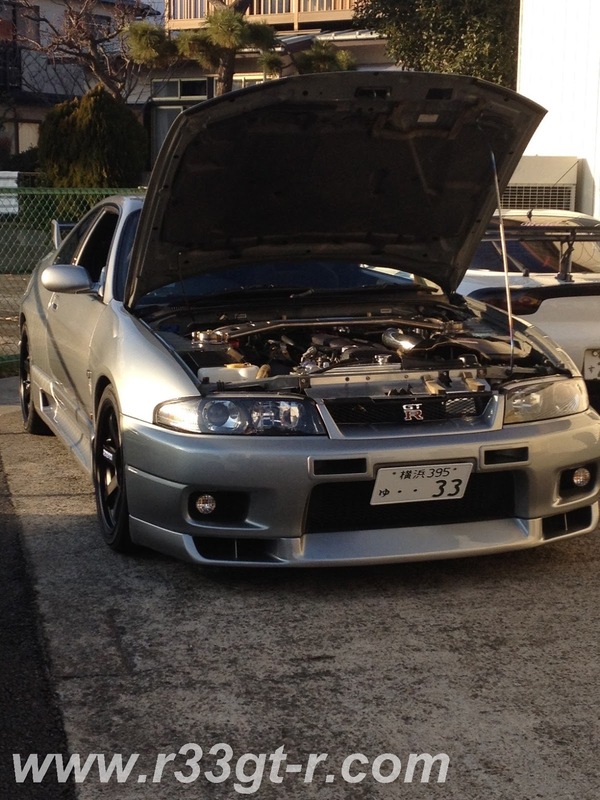 First, and most obviously yes I had the front lip spoiler painted body color, KR4. As a reminder when I bought the car, I discovered that the previous owner had painted it black, and that black paint had begun flaking off. So it was always a matter of painting it (or wrapping it in 3M Din-oc) – I just had never thought it would look good in body color, preferring the black or carbon look. So what do you all think? Second, as at least one person guessed from a previous post, yes, the car now sports Nismo 400R side skirts (complete with very cool functional ducts for brake cooling). 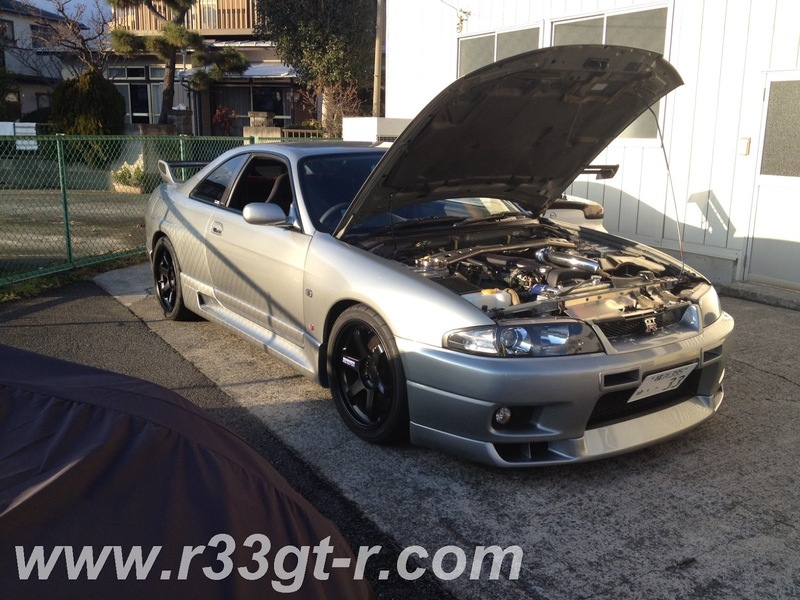 Honestly, I am still not sure of this look, because I think the stock side sills actually give the rear more “flare” than these do… on the other hand these Nismo side skirts are taller and wider than stock, so give the car a new look. From certain angles (like above? ), the car looks smaller than it did before, I think. Plus, the functional side scoops are tempting me… shall I go for rear brake cooling, or some oil coolers? Lastly, a repair. As I mentioned in that previous post, the rubber seal for the rear window had begun cracking and separating, so a new rubber seal was needed. 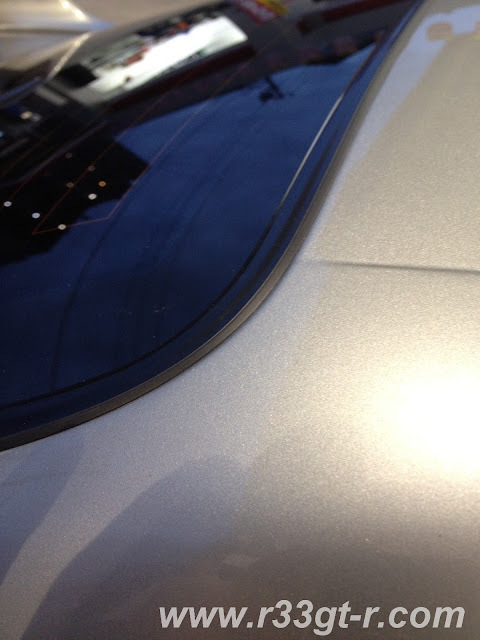 Happy to report, that repair went perfectly, car now has a brand new seal around the rear window. Some peace of mind for me. From what I was told, it was a Nissan dealership that provided the part. Not sure what your budget is, but one of the foreigner run parts exporters can probably get and send one to you. Have almost visually identical '33 so was very keen to see the outcome of the mods. Do believe the splitter makes the front stronger and more modern - a very nice outcome which has convinced me to make this change as was planning the carbon wrap approach. Like you I have mixed feelings about the new side skirts as along with the rear view, the muscular pumped sides of a 33 GTR to me, are hard to improve on and I am not a fan of 400R visually. This being said, a credit to you in how well you maintain your car. There is no shortage of fast '33 R's around, but not many as clean as yours. Cheers from Dan in Australia. Many thanks for the kind words! 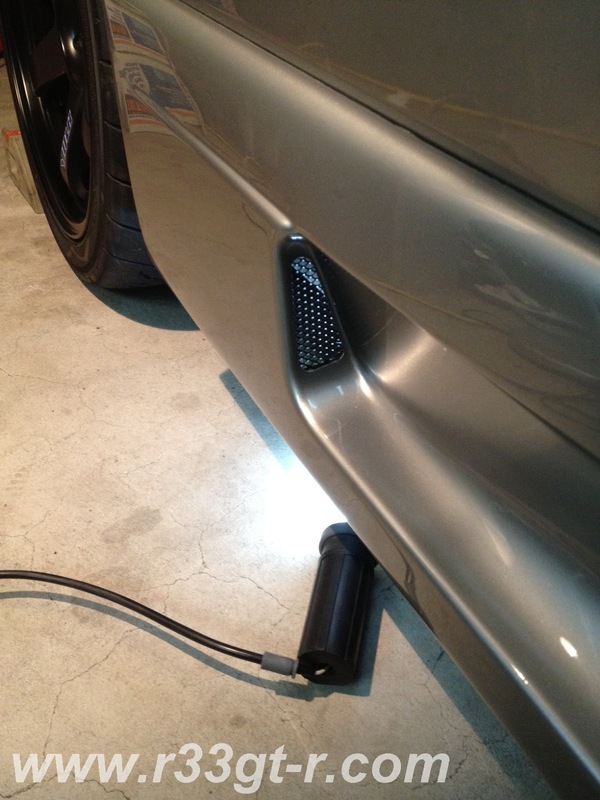 Interestingly enough, Kabe-san is a detailer and said that my car, while clean, could be even further improved upon! So I will have to see how that goes eventually. So yours is KR4 silver, too? Black wheels? I love the 400R side skirts, always had a soft spot for them and actually think they inhance the bulky look of the fenders. On the front lip, I love it in black or carbon as you had it. But all this is a matter of taste and differ from one person to another. As always, nice article and lovely Skyline. 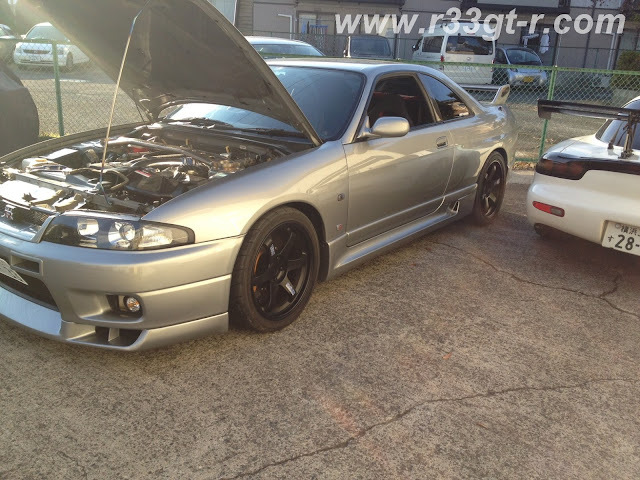 I'm from Kuwait and I have 1996 GTR (converted left hand drive if you belive)I wanted to know what is the part number for the rear rubber as I want to change it.I can't find it and I want to order it from Japan. It would be great help from you. Keep up the great work love you blog. Ok - I think the part number is: Rear molding, 79816 (that's what I found on Nissan FAST).